Looking for the perfect Prom Hair Ideas? Then you are in the right place! We know choosing a hairstyle isn’t easy! 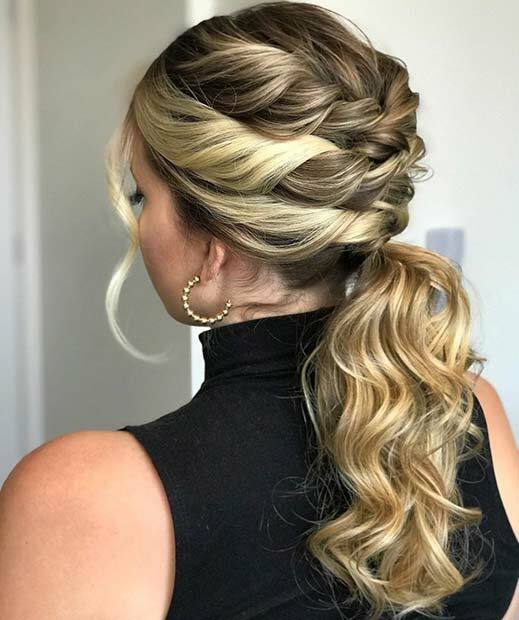 You need a hairdo that suits your dress and your prom vibe. To help you get inspired we have found 23 of the most stunning prom hair ideas. There is something for everyone with long hair, short hair or anything in-between. 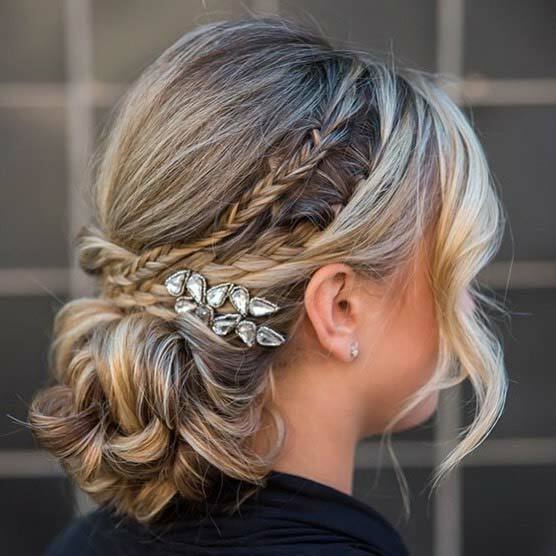 Any of the hairstyles featured will give you a prom look that will wow. 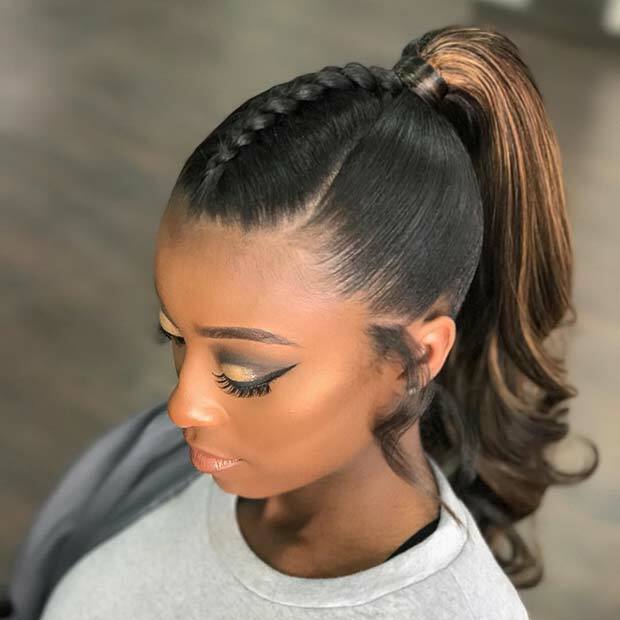 You can still wear your trendy braids and have an elegant hairstyle to. Here we have an idea that features a side braid with the rest of the hair down. With this style you get the best of both worlds. You could curl or straighten the rest of your hair, waves would look beautiful to. Looking for a trendy and edgy hairstyle? Then this could be for you! Here we have a ponytail that features multi braids. The braids are all loose and relaxed. This is a great choice for anyone who wants a unique look that stands out from the crowd. Bring some vintage glamour to your prom with our next hairstyle. 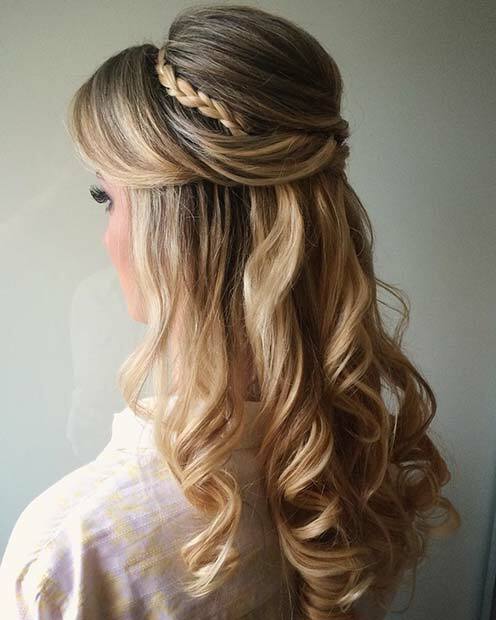 This updo is half-up and half-down with a beautiful braid. It has volume at the top which gives it a beehive look. The rest of the hair is curled.This is a stunning hairstyle and it would look great with a vintage style dress or a long floaty dress.